This is a starter e-commerce website that allows for online sales. 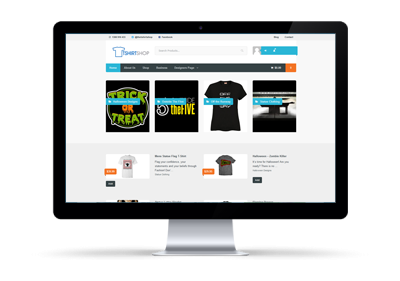 Use as a personal or business starter e-commerce website. This package uses the free Woothemes template- Storefront – that does not include premium features. It is great starting point, and is good enough get your online business up and running, taking orders and receiving payment. This package is not ideal, for websites owners who get larger flow of visitors, but its a great starting point. WordPress and a free template is a great to start and can be easily upgraded as your business grow.